Tachycardia due to anxiety. Anxiety and insomnia due to disturbance of the spirit - to use Chinese Medicine Terminology. 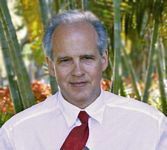 A cardiac sedative for support of tachycardia and disrupted circulatory functions, as well as anxiety, fear, worry and psychic unrest that frequently accompany these conditions. This homeopathic remedy can provide support for cardiac pre-insufficiency, spastic cardialgia with radiation, nervous and agitated state of the heart, pulse anomalies, arrhythmia, extrasystole and cardiac neurosis. In addition, it helps regulates blood pressure, improves oxygen utilization and helps support focal damage in the heart muscle. 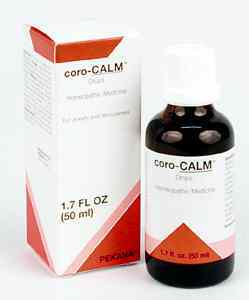 coro-CALM drops also helps improve breathing to help eliminate fear and nausea that may accompany circulatory anomalies, and assists gastroenterocardial regulation processes necessary to eliminate heart neurosis. Elderly women frequently benefit from this preparation. Anxiety and insomnia due to disturbance of the spirit . ¼ to ½ teaspoon taken 2 to 4 times per day, or taken when anxiety with racing heart arises. For insomnia, the initial dosage may need to be quite high, as in 1 to 3 teaspoons in warm water before sleep. This remedy is used for episodes of acute symptoms, but can also be used for 1 or 2 months during a program used to build up a patient s nervous system stability if they are experiencing panic attacks. Aconitum 6X addresses symptoms of fear, worry, anxiety and psychic unrest that can lead to tachycardia and circulatory disturbances accompanied by alternating sensitivity to heat and cold. Cactus grandiflorus 2X counteracts turbulent heart activity caused by anxiety or nervousness. This substance also addresses toxic damage to the heart muscle, which can lead to stenocardic (angina pectoris) complaints usually accompanied by spastic pain that radiates in the left arm. A rapid heart beat is frequently triggered by ingestion of analeptic stimulants in coffee and tea, which also cause greater sensitivity to external stimuli and sleeplessness. Coffea 10X helps calm this agitated state by providing a counter balance to the effects of coffee, tea and tobacco. Disturbed breathing that disrupts the rhythmic-harmonic movements of the diaphragm can also affect arterial-venous circulation. Lobelia inflata 4X resolves vegetative disturbances and promotes increased and deeper breaths, which can help eliminate fear and nausea. Sumbulus moschatus 4X is indicated for functional heart disturbances, as well as a nervous and agitated heart. It eliminates numbness, "hot flashes" of the blood, heart palpitations, neuralgia in the left chest that leaves the patient short of breath during exertion. This substance also helps treat nervous conditions that include symptoms of cramping, sleeplessness and breathing problems. Convallaria 1X increases heart strength and helps regulate a regular heartbeat. As a result, benefits shortness of breath, dropsy, edema of the sub-skin and the sensation that the heart stops then starts to beat again. Crataegus 1X helps balance blood pressure, improve oxygen utilization and provides support to heal focal infections that may have already developed in the heart muscle. A classic healing plant, Leonurus cardiacae 1X provides a calming effect on the central nervous system. Its helps harmonize gastro-enterocardial regulation processes necessary for the elimination of heart neurosis.